A lot of attention is given to gold-backed IRAs these days – especially when there are so many questions surrounding the health of the economy, the risks of another stock market collapse and the declining U.S. dollar. But as you begin looking at ways to safeguard your retirement savings from these threats and others, it’s important to consider all your options. Depending on your unique objectives, a silver IRA may also be a good fit. – A silver IRA account offers all of the same benefits as a gold IRA. Like gold, silver is an extremely liquid asset, which makes it an attractive option for investors who want to diversify their portfolio or avoid the risky stock market altogether. Silver can also add unique protection to your retirement funds in other ways. As the dollar declines, Americans’ purchasing power is steadily eaten away. A savings account won’t save you from that decline either. 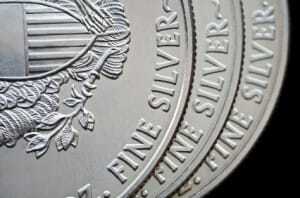 Silver, however, is often used by investors as a strategy to preserve wealth and hedge against inflation. – A silver IRA investment gives you several options to choose from. Several forms of physical silver can be placed in an IRA, each with its own unique features and advantages. For example, you can choose from both silver bullion and proof coins, such as the Proof American Silver Eagle, which is minted in limited quantities each year. These options give you additional flexibility, allowing you to customize an investment strategy around your unique goals. – You’re not limited to just silver, either. A silver IRA doesn’t require you to invest solely in silver. You have the option of adding several other precious metals that meet the eligibility requirements of the IRS. In fact, you can also hold onto stocks and other types of investments if you prefer to maintain a wide diversification. – Now may be the right time. Many investors closely watch the prices of silver, gold and other precious metals to determine when to invest, and how much. If you’re focusing on growth potential, then these prices can dictate whether now is an ideal time to place silver in an IRA, based on your age and objectives. It only takes one call to Birch Gold Group to check current pricing and get personalized advice from our knowledgeable Precious Metal IRA Specialists. We will go over all your options and guide you in the right direction. Not sure if silver is right for you? We’re here to help! Contact us today to learn more about the differences between silver and gold, and let’s put together a retirement investment plan that makes sense for you. Opening a silver IRA is simple, and you may be able to roll over funds from a 401k or other IRA. Birch Gold will walk you through it, step by step. Give us a call at (800) 355-2116 to speak with one of our specialists.